The answer is as long as the Volvo Truck is EURO 2/3/4/5 trucks, Visfed Revolation is able to clear DPF and SCR. 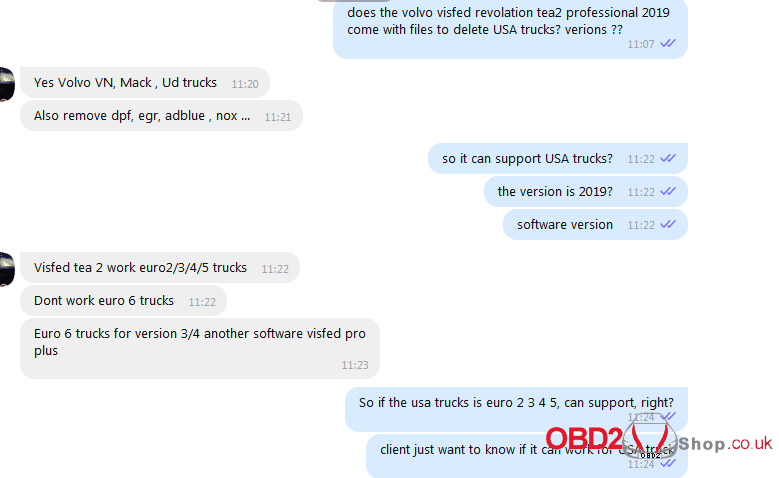 Q: Does the Volvo visfed revolation tech2 professional 2019 come with files to delete USA Trucks? Version? A: Visfed tech2 works euro2/3/4/5 trucks. Don’t work Euro 6 trucks. Euro 6 trucks for version 3/4, another software visfed pro plus.